Do you often find yourself being too easily offended? Many people do! All of us have varying levels of personal sensitivity, and much of it carried with us from childhood into adulthood. But that is not really the problem. The problem is really about how we REACT when we feel offended. Reactions can vary from ‘water off a duck’s back’ to the other end of the scale where people exhibit almost explosive revenge. In some cases the fallout leaves damaged relationships, often between our friends and family. This article is for those who recognize that their reaction to offence from others is damaging their important relationships. They have probably had the significant others in their lives tell them as much, and they acknowledge that they need to change. The reason that ‘acknowledgment’ is so important is that there needs to be a reasonable level of self-awareness first before we engage in strategies to deal with the problem. We need to know that it’s our self-esteem that is taking the hit… That it’s our Ego that is being too easily offended, and that it really shouldn’t be that way. So, here are some thoughts on actions you can take to be more in control of your ‘reactions’. 1. Create A Level Of Detachment. The number one reason why most people get easily offended in the first place is because of an inability (or unwillingness) to detach their ‘sense of self’ from their opinions. They are too emotionally invested in their opinions, to the point that a challenge to their beliefs becomes a challenge to their Being. In their minds they have been rejected, not just their opinions. We need to remind ourselves, always, that our opinions do not make up our whole being. They are a part of who you are, but not the whole. Opinions can sometimes change when new experiences or new information comes to light. When you accept that there is more to you than just your opinions, then you can detach from them and accept that others can view life from a different perspective. Now lets look at another form of “acceptance”. 2. Adopt A Big Picture Attitude. None of us have always lived up to other people’s expectations. I’ve certainly offended my share of people. I’ve rolled my eyes, and said things I wish I hadn’t. I’ve been inconsiderate and annoying. While I’m certainly not proud of it, I do know that I’m a better person today than I was in the past. Try to think of it this way; that the person who offended you today may be a better person tomorrow. There is a great book by author Richard Carlson and first published over 20 years ago called “Don’t Sweat the Small Stuff”. Richard was really addressing how to deal with the multitude of day-to-day frustrations we experience. We can apply the same attitude to being easily offended. Most of the time it really is ‘small stuff’ and we should just let it go. The real value in adopting this “Big Picture” attitude is this. The less demanding we are of those around us the less likelihood that we will be offended in the first place! Practicing simple mindfulness techniques is a great way to cultivate compassion and acceptance of yourself. It helps you to drop excessive pride and ego and accept that we live in a diverse world. 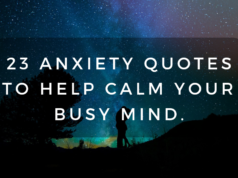 Practicing mindfulness, even for a few minutes daily, helps us to stop overthinking things that others have said and feeling hurt and offended. We can stop relax and let it go. It’s really just another way to help us to cultivate that ‘Big Picture’ attitude. 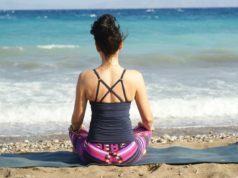 If you would like to read more about practicing mindfulness techniques, check out The 7 Best Mindfulness Activities for Adults. When you carry the burden of an inflated Ego, then there are going to be numerous occasions for you to be offended. A sly look, a remark, everything becomes “about you”. If you put yourself in this position you will be constantly reacting to things that most of the time have nothing to do with you. Your partner’s bad mood is not about you; it’s about them! Humility is not about being weak. In fact it is quite the opposite. The humble person listens and can accept correction when it is deserved. They put their own inner growth before their ‘Pride’. They don’t need to be always defending their opinions in order to protect their self-esteem. Practicing humility will bring you closer to finding real inner peace and happiness. If you are always on the lookout for offence you will find it. Some people even prefer being the victim. Their conversation is littered with things that someone is doing to them. Some of this may be true; some may be imagined; or some may be simply that they are expecting perfection in a (very) imperfect world. In which case they are almost guaranteed to be constantly offended. An alternative attitude would be to expect imperfection. Allow people to be human and ‘different’ from you. They will have personality flaws, just as you do. So, concentrate on relaxing and letting it go. I have sometimes been challenged on this point with comments like, “But I can’t,… it’s just so irritating!” My response to that is “Why are you refusing to forgive?”. Learning to forgive when confronted by offense is a way of short-circuiting your auto response mechanism. This is particularly useful when the offender is someone you see more frequently, like a family member. When we forgive imperfections in others (and ourselves) we are protecting our inner emotional harmony, which is always important. 6. Understand When The Beer Is Talking! A final thought on this subject. When thinking about the subject matter for this article, I was reminded of my family get-togethers when I was growing up. They were always loud and boisterous events with plenty of teasing and fun. Inevitably at some point during the afternoon, everyone would become aware that my uncle on my mother’s side had consumed too much drink and his conversation had now become abusive. Old issues that all of us had forgotten where now being aired again. My uncle was and always remained ‘a victim’. He also reserved special attention for his sister, my mother. For me as a child, it was both confusing and upsetting to witness. When we talked about it later, she would always smile and say, “Don’t take it to heart, its just the beer talking”. She always kept her poise and dignity and had forgiven him before he had even opened his mouth. My uncle passed away a few years ago and my mother and I had the opportunity discuss those events again. Now as an adult, I was more curious about how she was able to handle the abuse from her brother so well. She explained that he had been a very happy boy growing up and they were always close. He was never the same after returning from Vietnam, still only in his late teens. Over the years his marriage broke down and his sons refused contact with him. When I was growing up, he was more out of work than in work. My mother could see and understand his self loathing, and would still love him. That’s the power of forgiveness. If there is a moral to this story it is this. We cannot always control what others say and do; but we can and should be in control of how we respond. My mother could have shunned her brother and insulated us from his bile. Instead, we got a valuable lesson on the power of compassion and forgiveness. Welcome to CreativeLifeBalance, a website dedicated to making self- improvement a worthwhile journey for everyone no matter what your personal circumstances or stage of life.